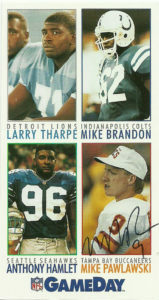 Reggie Johnson appeared on the NFL scene quietly in 1991. He finished his college career at Florida State with 52 receptions for 544 yards and a 10.5 yard average. Johnson was the first tight end taken off the board at number 32 overall. He caught his first touchdown (since High School) in his first professional game against the Bengals in 1991. It took another 30 games for him to catch another- in the season finale against the Chiefs in 1992. Reggie recorded a career high 20 receptions for 243 yards and a TD in 1993. 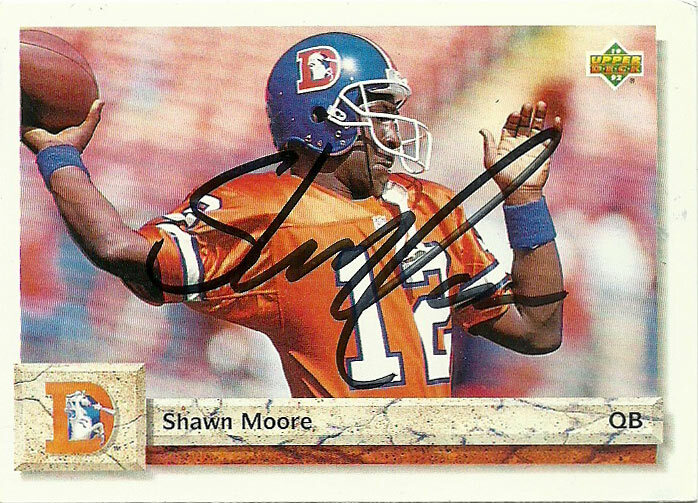 He was cut by the Broncos due to the salary cap in 1994, and briefly was picked up by the Bengals. Over those next four seasons, Johnson played for the Packers (1994), Eagles (1995), Chiefs (1996), and Packers (1997) again before retiring. 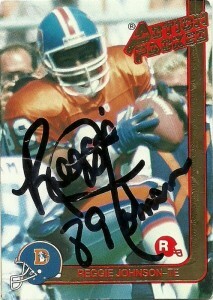 Over his career, Reggie was known as a good special teams player and goal line blocker. 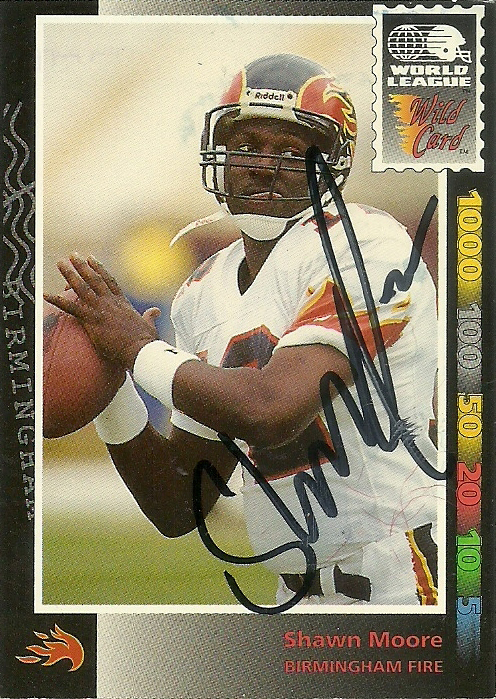 He returned briefly to play football for the XFL Birmingham Thunderbolts in 2001.